Sewer dump service is ONLY available on September 12, 14, and 16th between approximately 8:30 am - noon. Please add any necesary dump services to your reservation. The Surf and Turf R.V. 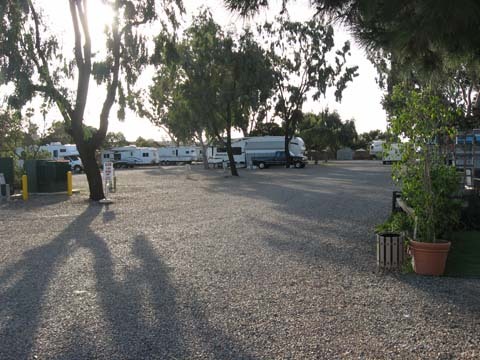 Park is located just blocks from the beach and across the street from the San Diego Fairgrounds and the Del Mar Thoroughbred Club. The San Diego County Fair and Del Mar Thoroughbred Club use the property during the summer months. Copyright 2016 Surf & Turf RV Park. All rights reserved.